For ages I have been really interested in the idea of ‘home’. I have bought and read far too many interior design magazines, fantasizing about creating my dream home to the point where I signed up to do my MSc in Environmental Psychology. I was expecting to learn how to create the ‘perfect’ environment for people. To find out exactly what the ingredients were to make a ‘home’. Yet the course, perhaps unsurprisingly, left me with more questions and ambiguity that answers. So as we spoke with the young people my initial obsession with the concept of a home as portrayed by the interior design magazines was beginning to seem more and more remote and irrelevant. Home was a lot more that a ‘look’ and contrary to our current social and political climate a ‘home’ should not be the preserve of those who can afford it. A ‘home’ is a complex set of meanings – intertwined with our experiences of family, belonging, our identity and our ability to control our lives. The physical look and feel are important. They are important because they communicate our status in society, our ability to control our environment (an important cause of stress) and objects in our home can be important containers of memories and emotion. 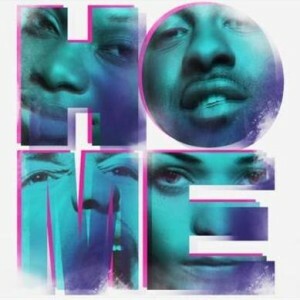 Home was overwhelmingly a psychological construct. But above all a home must be safe – both physically and emotionally. In October and November last year I worked with One Housing to find out what young people thought about the summer riots that took place in their areas. We explored the experiences, decision-making and views of ten young people (age 17 to 24 years) who chose not to get involved. All the young people interviewed live in supported accommodation in riot affected areas of London. The picture that emerged, was one of much more nuanced divisions between the categories of ‘rioters’ and ‘non-rioters’. These young people chose not to riot but generally felt they understood and sympathised with the reasons for rioting. They resisted the ‘with us or against us’ style divisions between rioters and non-rioters that have been drawn in much of the media. Common themes emerging from the young people included the importance of personal and shared identity, support and influences, “getting stuff”, money and power and having a voice. Check out the full report which includes audio and video clips from the interviews with young people. I am a freelance researcher and facilitator who uses participatory approaches to help create a fairer and more inclusive society. For over fourteen years I have worked creatively with children, young people and those that work with them (either directly or in government) to try and bring about a social change where the least heard have a greater voice. I firmly believe participation can be both fun and effective. I am also fascinated by how the built environment shapes how we feel, behave and experience different places. And how do we, in turn, shape and change the environment we live in? These questions are currently driving my research into environmental psychology. They have also bought me full circle, back to the importance of people’s participation in decision-making, whether this is in creating a sense of place or developing our communities.